Our loving father, grandfather, and great-grandfather passed away unexpectedly at his residence in Bay City, Michigan on Monday, March 25, 2019. Age 92 years. Pete was born on November 26, 1926 in Bay City, Michigan to the late John F. and Florence (Clock) Kotewa. He proudly served his country in the United States Army from 1945 to 1946. 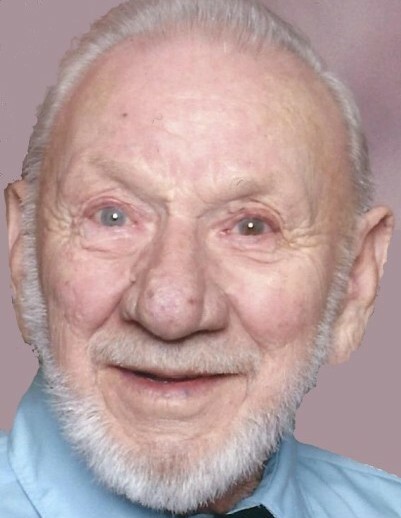 On January 6, 1950 in Maywood, Illinois Pete married his beloved wife, Annaliese A. Meister, and she preceded him in death on February 9, 2019. After many years of service as a Gas Mechanic, Pete retired from Consumers Energy. Pete was an avid golfer, hunter, fisherman, and Poker Player. One of his greatest passions in life was gardening around home with his wife. Above all, nothing meant more to Pete than his family. Left to cherish his memories are five children, Robert (Gerri) Kotewa, Rick Kotewa, Joanne (Terry) Woody, Susan Lopez, and Karen Gwizdala; eleven grandchildren; and thirteen great-grandchildren. After a short period of separation, Pete is reunited with his wife of 69 years, Annaliese A. Kotewa; his parents; brothers and sisters; daughter-in-law, Diane Kotewa; and son-in-law, Kelvin Keenan.